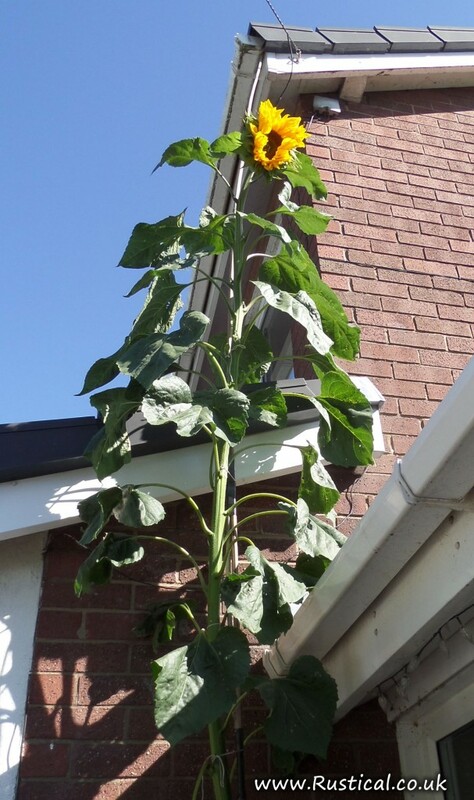 I don’t know if they stop growing once they have flowered so we thought it best to take a measurement…. 12′ 3″ (3.73 meters). Definitely a personal best but I suspect it won’t be enough to win the local competition. All the plants in the local competition were from the same source so it was a level playing field. 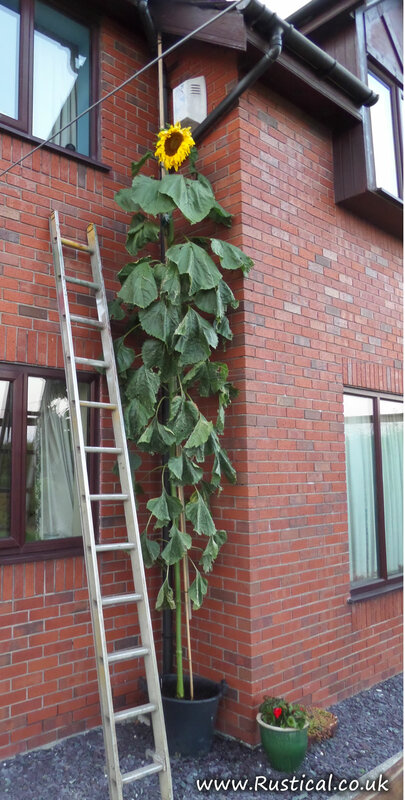 Later on I accepted an invite to verify the height of the sunflower grown by Mr Peter Ball of Banks, Southport. It was 12’5.5″ so was 2.5 inches higher than mine. I really don’t think it counts though as he has had a massive sodium light on above it throughout the nights AND he lives in Banks. Cheats the lot of ’em.